"SH'MA YISRO-AYL." If you can say that, you can Read Hebrew ! It Transliterates: Hebrew - English - Yiddish - Aramaic & Russian. Imagine, You want to read Hebrew, but you're an English Speaker and never had the opportunity to learn Hebrew... You want to read the Bible or simply Pray. you can READ a Hebrew word, sentence, or full Prayer instantly. This amazing program is a MUST HAVE tool. either Ashkenaz or Israeli Sephardic. It will save Rabbis and Teachers thousands of man-hours of class preparation, and it also gives them the ability to export the material in HTML format for LONG DISTANCE LEARNING on the web. 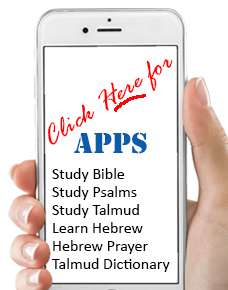 The software comes complete with a Library of Digital Hebrew Books. It includes; Two Full Prayer Books one Ashkenaz... and Sephard... with Shabbat & Holiday Sections... Five Books of Moses... All of Prophets... Five Megillot... Psalms... and Haggadah. That is about all the text you'll ever need. The software also includes and Hebrew Virtual Keyboard and a vowel editor for further text entry and text customization if need be. Say the of prayer you would like to READ in original Hebrew is the Mourner's Kaddish or a Shabbat Song. You simply select the Hebrew text you want from the pull down English Menus. Paste it into the Text Entry Box and click on the Translitrator button. That's it... It takes less than one second to transliterate a full Chapter. Now you can print it... or export it to the web as HTML. If you look at the samples below you'll see it prints in a Reader Friendly manner with alternating lines of Hebrew Text and the English transliteration. Try reading it.. you'll be amazed... it's like riding a bike for the first time with training wheels... before you know it you'll be off and reading Hebrew! Ability to increase Font Size of both Hebrew and English Transliteration to EASY READING SIZE.